The hardest thing to understand is something outside of your perspective. We’ve all been conditioned to think, feel, and react uniquely. Genetics, family, country of origin, schooling, friends, media intake, places we’ve been, books we’ve read, and many more factors form who we are today. So how do we evolve? How do we grow beyond our current thinking? A little microevolution isn’t so bad sometimes when lousy thinking still reigns. I used the word “evolve” on purpose in the previous paragraph. Some of you immediately hate anything with EVOLution. Why? Because as a follower of Christ many (indeed most) reject macroevolution. It’s drilled into our minds constantly not to accept the origin story of sciences' religion. Now, this post isn’t about evolution, but the problem with having such a negative response to anything concerning evolution is you turn your back to learning opportunities. It’s okay to reject a theory, but it's not okay to reject everything and everyone who associates with the theory. Microevolution is a real thing. It’s quantifiable, but I've digressed. Back to how we grow beyond our current understanding. I read this post "The Cook and the Chef: Musk’s Secret Sauce” a few months ago, and it challenged me. The whole idea was Elon Musk (CEO of Tesla & SpaceX) has a unique perspective on viewing the world. Everyone wants certain things in life, and their reality shapes those wants. 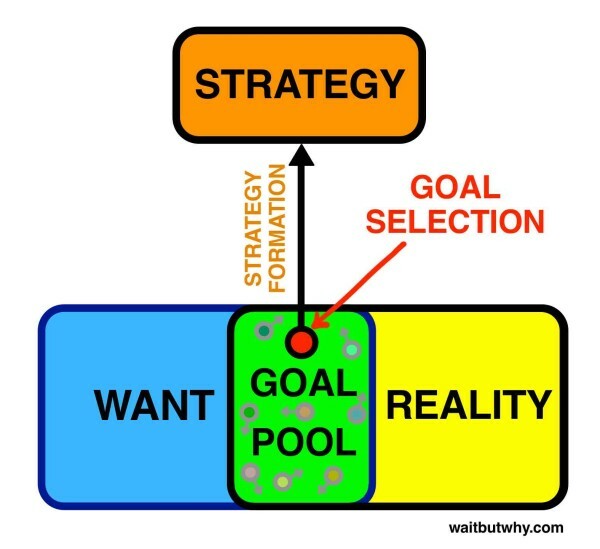 The overlap of those wants and reality creates a goals pools and off those goals, you select certain ones to go after with strategy. It’s insightful understanding this process, but also infuriating. The size of your reality severely limits your life goals and as a consequence your daily thinking. Your perspective is defined (or limited) by how much you read, the people you meet, the places you go, and how many new ideas you come across. The extreme of this would be someone raised in a cult. All you would know is the people around you, the leader you follow, the one book you read, and the place (or lack of places) you’ve been. 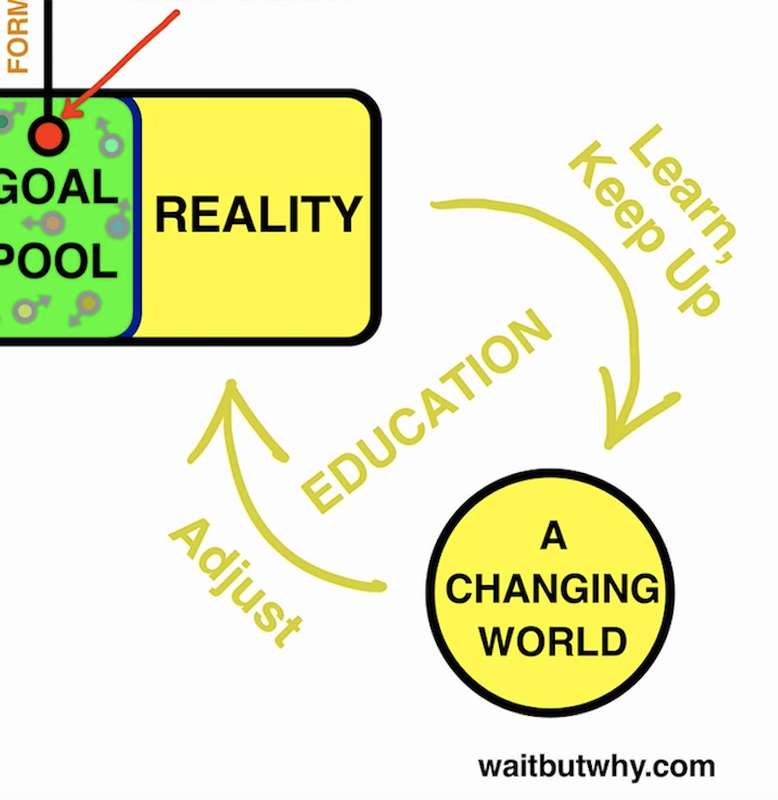 How do you make the jump evolutionary if you live in a closed loop? You and I most likely are not in a cult, but most of us do live in our version of a closed loop. We read the same books/blogs, hang with people like us, and go to the same conferences yearly. How do you upgrade yourself then? I want to push you, along with myself, to not be okay with where you are at currently. Never stop growing. Think a little like Elon and embrace something your leadership thinks is impossible. Lean into the unknown a bit. A beginner step could be to start reading books outside of your perspective, spending time with people different from you, and going to some conferences unfamiliar (maybe in a place you’ve never been). Stretching yourself in these areas will bring new and fresh perspective to your ministry.